How to Change Header Through Page Element? If you use free template, of course there are so many same template with yours. So how to make it unique? You can change header background template with your own unique header. How to? 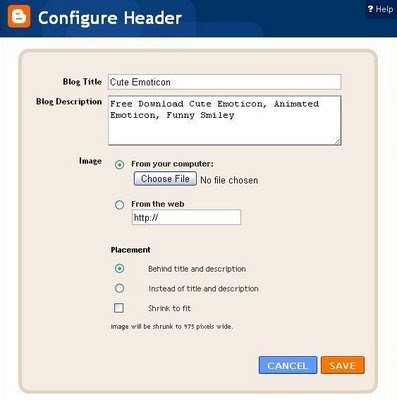 Here's how to configure header on your blog through page element. 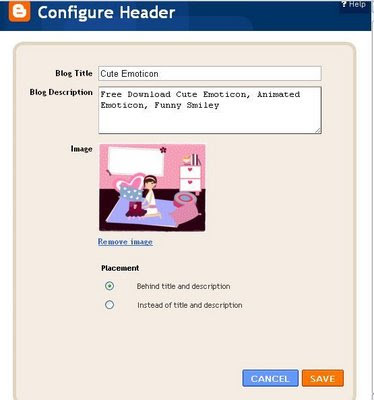 It means, header size on your template is width 920 pixel and height 90 pixel. Now you have known your header size. Hi Ipietoon. What a great looking blog you have here. very useful and informative contents too. This is my blog Easy Buy & Sell> I would appreciate if you can help me with my "Label / Categories". You see, I have so many labels and I would love to have a two column design (like yours) for my Label/Categories in order to save space. will you help me please. Thanks. will u adding me as follower and your friends..
Hi! I have the Dark Brown Ebong template, and I can't get rid of the header text at the top. I have it set to show the header instead of the text, but I still see the text. Any suggestions? Thats the template I use. Also, I can't get the date tabs on the left to work. I changed the timestamp format as noted in the "read me" file included, but it won't work. It says "undefined" instead of the date. Help? lol Thanks! :D im sorry, for this time im not available for editing..
kak.. gimana sih cara utk nge-remove header through page element nya? kak kok aku ga ada tulisan Edit on Header Section nya?? A blonde is driving down classic designer jewelry the road. She notices that she is low on gas, so she stops at the gas station. While she's pumping her gas, she notices that she had locked the keys in the car. So when she goes inside to pay, the blonde asks the attendant for a coat hanger so she can attempt to open the door herself. She goes outside and silver jewelry begins to jimmy the lock. Ten minutes later, the attendant goes outside to see how the blonde is faring. The blonde outside of the car is moving the hanger around and around. Meanwhile, the blonde inside of the car is saying, "A little more to the left. A little more to the right ... "
How to Create Multicolumn Labels/Categories ? Why Date Not Show Up on Post?